TTT: Favourite Releases of 2016 so far! Top Ten Tuesday is a weekly meme created by The Broke and the Bookish. Last week was all about upcoming releases and this week is about the releases of the year so far that we liked most. I took a look at my Goodreads stats and it’s astounding how many recent releases I read these days. I think the “oldest” book I read this year came out in 2012. That’s nothing! But I am rambling, so let’s focus back on 2016 and my faves. I finished this book and I simply couldn’t get enough. Maas took everything from ACOTAR and turned it upside down – it was brilliant! She introduced a bunch of new characters and we got to know some older ones better. It had a lot of depth that I didn’t expect, especially concerning depression. I just can’t even! That book makes me want to gush for hours. Cassandra Clare just gets better and better with almost every book and she managed to introduce a fantastic cast with Emma Carstairs and the Blackthorns. I love that we get to experience a parabatai-focused story, because that is seriously one of my favourite aspects of Shadowhunter-dom. Who would have thought this would be on the list? Everyone? Good! I trained you well. Morning Star was the perfect, heart wrenching and backstabbing conclusion to the Red Rising trilogy. I wouldn’t have wanted it any other way. 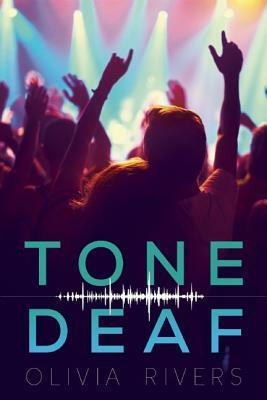 Having a deaf MC isn’t something everyone can pull off, but I loved this book (and not just because it reminded me of some Shadowhunters). It dealt with so many different and difficult topics, but managed to be entertaining and engaging all the way through! People know that I did not love ADSOM, but the character development of EVERYONE in AGOS was just amazing to read. I still have issues with the pacing and the focus of the story sometimes, but I am all in by now. 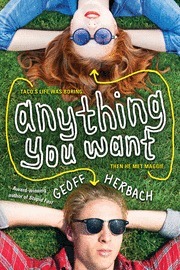 I want the next book! I binge-read the whole series, so unlike many others, I didn’t have to wait for this book for months and I am so happy about that. It was a great book and Shazi and Khalid are real life relationship goals! That’s how awesome they are! Sometimes I just have this melancholy trip and The Siren catered to my needs during that time perfectly. It even put me in this sort of sad funk, but I wanted it that way, so I relished in it, deeply. However, I could see why it is not a fit for everyone. I, nonetheless, loved it. This book – totally took me by surprise. I never thought that it would turn out to be so emotional in the end and I still think that all the people who DNFed that book on Goodreads missed out on the best part of the story. This is like a prime example of why you should stick to finishing a book sometimes. This one was a book I wouldn’t usually pick up right away, because Thrillers are not a genre that I seek out. But I think it paid off. It was a very twisted and fast paced read, I just couldn’t stop myself. 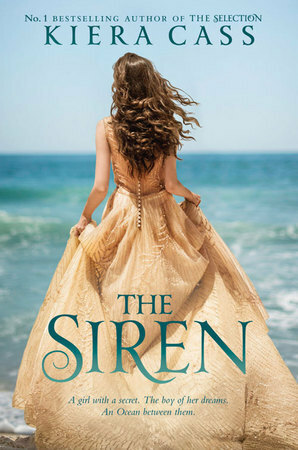 Also, I am still a little in love with the cover. 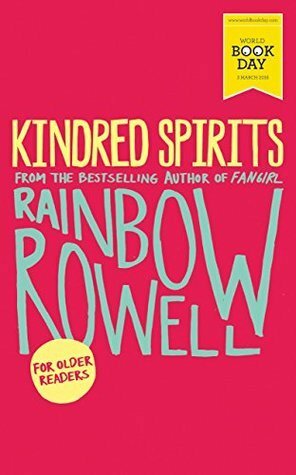 I need my regular dose of Rainbow Rowell story telling and even though Kindred Spirits was way too short, I am glad I got to experience this tale of geekiness. I just felt so connected to it all! What are your favourite releases of the year so far? Tell me all about it in the comments below! I think I can guess them, because there are only 5 we both read, right? 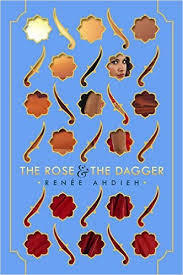 The rest of your list is somewhere in my tbr and only The Wrath & the Dawn and The Rose and the Dagger is my priority-tbr, but not on my top-priority-tbr. As you see, the struggle is real and I was forced to even categorize my tbr piles by levels of priority haha, which is quite freaky. Anyway, my question is, all hype considered, should The Wrath & the Dawn be in my top-priority? And also, what I always ask: how romancey is this book from "I ship it" to "oh my god my heart"? Hahaha I love that your TBR is so out of control that you have to categorise it. It’s a little difficult to tell you about TWATD without saying too much, but I’ll try. Imagine a broken boy everyone hates, but you can’t help and love him from the first page on because he seems so very tormented by it. And then he meets that strong and snarky woman who hates him beyond anything, but somehow they are made for each other? THAT’s Shazi and Khalid! I sometimes wish the side characters were more developed, but you end up loving them nonetheless. OH MY, tormented love interest AND from-enemies-to-lovers?! Damn, I think I might need to add another level to my priority piles. 😉 it’s a beautiful story. I bet you wouldn’t regret it! Oh my, now I feel anxious that for some reason you won’t enjoy it and I will be to blame. Book recommendations are tough! Plus, think of my tbr situation, by the time I get to the 5th level of priority I don’t think I will remember my name, yours and much less who recommended me what book. You hear me, Susan? Sorry for always reminding you of TRATD I am not doing it to vex you! You’ll read it soon enough! With Malice is on my radar! Kindred Spirits is on my TBR and Tone Deaf sounds very good! It seems I can’t take Maas’ writing seriously. I’m half through Crown of Midnight and I keep laughing at the plot and characters. That doesn’t mean I don’t like, I looooove books that make me laugh, but I’m pretty sure Maas did not intend her book to be funny xD Maybe I should give that other series a try. Tone Deaf was amazing! 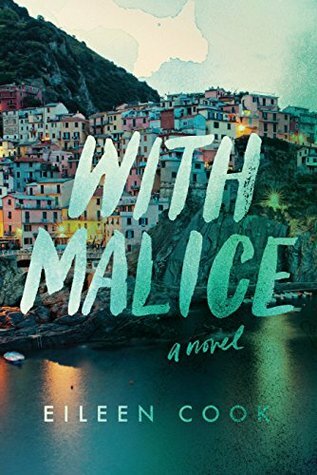 I don’t think that With Malice was groundbreakingly original but it was a fun read. I am not sure what to tell you about Maas. People either seem to love ACOTAR or hate it. I know a lot of people who DNFd it. 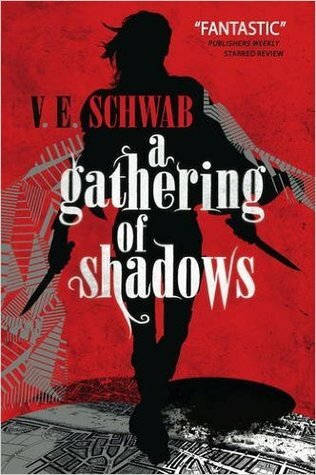 If it’s as funny as Throne of Glass, I might enjoy it, haha! Well, it doesn’t start out funny, but I guess there is a certain sense of humour to it. Oh wow! No Clare books so far? If you ever do pick them up, you’ll have a lot of work to do. It’s VERY important to read them in the right order. I am not kidding! TMI 1-2, TID 1-3, TMI 4-6 and then Lady Midnight. OR you can read them in publication order, but that’s even more difficult. LOL that’s how she wrote them and there will be hints you’ll miss or spoilers if you read them in a different order. Well, that’s just a tad silly! But I will write them down nonetheless! Wow! I’ve only read one from this list and that’s Kindred Spirits. 😀 It was such an absolutely cute story. 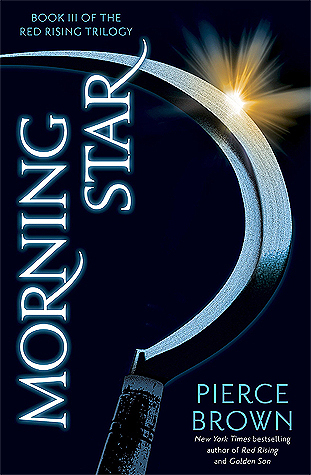 Well, besides my own book (*wink*), I was definitely very excited for Morning Star. And I’m looking forward to the playbook for the new Harry Potter stage play coming out next month. I saw that on the website of my local store the other day, but it was really expensive. Which is why I’m getting mine from the library. Yeah, I may have to wait a while as others go through the book, but in the end, it’ll be worth it. Yeah … libraries … not really that great of an option here. Yes, which now that time has passed, I feel like it’s not half the magic the original books were. I loved and hated ACOMAF. I agree about how it turned the first novel upside down, I found it so cleverly done! I have a a lot issues with it, but I also have a lot of praises for it as well and I like how it’s much of a survivor’s story as it was a romance novel. 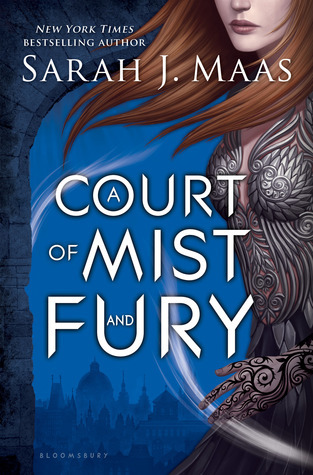 I loved how it dealt with Feyre’s mental state of mind. Too often people just bounce back from such trauma in other novels and that’s just not very realistic. Great post! I NEED to read the Red Rising Trilogy so badly!!! What Shadowhunters does Tone Deaf remind you of??? Is is somebody I haven’t met yet, cause I still have COHF and TID and LM to read. The male MC from Tone Deaf is called Jace and well … he is similar to Jace and his friends Arrow (who is very much like Alec) and Killer (who is sort of similar to Magnus) are the cherry on top. Oh my. I forgot Kindred Spirits in my TTT haha ! Great picks Kat ! 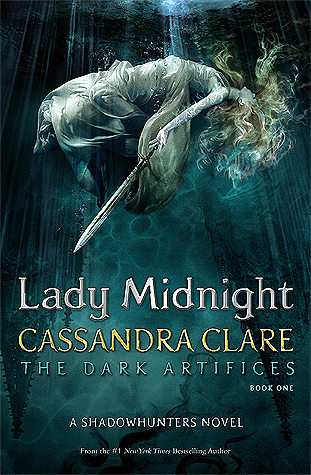 Lady Midnight is huge! Maybe that’s the reason? Even Cátia, Cristina and I took nearly a month to finish the book and usually those girls are like speed readers deluxe. Haha could be! But right now I’m reading Monsters of Men which is almost 700 pages 😂 Maybe it’s because I’ve been waiting for so long that I’m unconsciously scared that it will disappoint me? I’m going to have to look into Tone Deaf now. I read Five Flavors of Dumb which had a deaf girl who managed a band and it was really good. I bet I’d like this one. It’s a really great book! With great characters 😀 I really hope you do take a look! It might be good to have a refresher of Golden Son, depending on how long it has been since you’ve read it. I hope you’ll love it as much as I did. And don’t forget to read the author’s note at the end before reading Morning Star. I felt it gave the first couple of chapters even more meaning. Hahaha you should have seen my conversation with Marie. It was so funny what we came up with. Yes, that was a really important conversation!